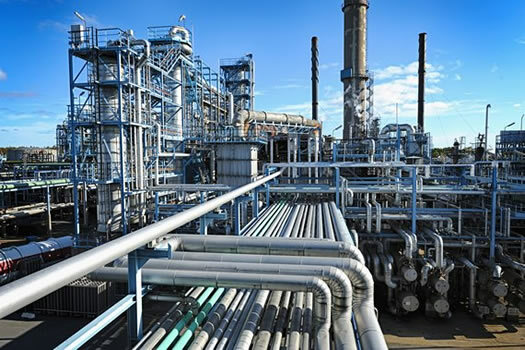 With thousands of miles of pipe and hundreds of pieces of equipment and tens of thousands of instruments in each facility, oil, gas and chemical projects require a strong connection between the engineering, supplier and construction teams to ensure success. Most of the IEDG team cut their teeth on projects in this sector. Team members have lead the engineering on key units of the largest oil refinery in the world in Jamnagar, India as well as EPC on some of the largest upgraders, oil refineries and chemical plants in the US and Canada. We have managed small project programs and plant services team at many sites -- working closely with owners’ operations and maintenances staff. Supporting them with required expertise as needed to develop realistic estimates, establish reasonable timelines and priorities; and manage the cast of technical experts and studies during the early phases of a project. Developing and implementing contracting strategies to ensure contractor and owner expectations are aligned and the right contractor is engaged. Setting up and staffing project management offices and governance systems to manage contractors and ensure owners’ interests are protected. Supporting owners’ teams in setting up the right tools and reporting to maximize opportunities for success. Reducing overhead costs by providing the right expertise as needed rather than requiring clients to hire a full-time team. Coaching and mentoring owner project team members to help them see hidden obstacles and setting them up for long term success.